French Jewelry Inc. is an incredibly friendly family-run jewelry shop situated in the heart of San Francisco, California. We cater to all tastes and occasions. From an elegant single stone diamond ring to an intricately designed diamond necklace, there is something here for everyone. Discover our spectacular selection of modern, unique and vintage jewelry and much more. 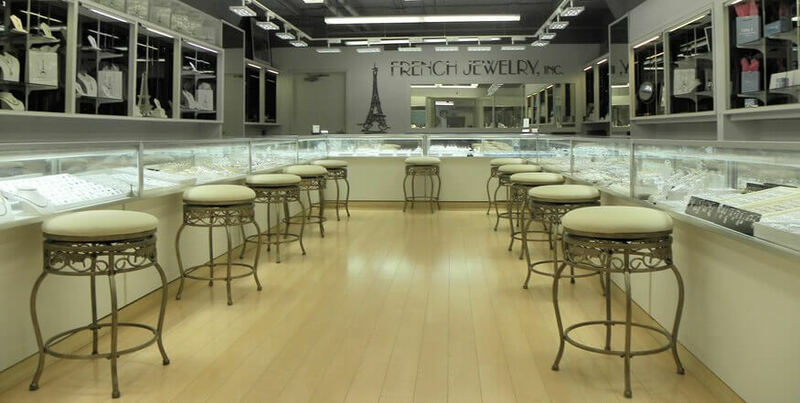 French Jewelry Inc. was built on principles of trust, integrity, and honesty. We pride ourselves as a brilliant example of how a reputable jewelry company can serve its clients. All our clients enjoy reasonable prices on the finest quality jewelry the Bay Area can offer. Our mission is to always provide our clients the highest quality jewelry at the lowest possible price. We also make it a point to always provide our clients the highest possible customer service and advice. We look forward to helping you soon.